This stylish abstract silver metal sculpture in a triple "C" design will look elegant in any room of your home or outside on our lawn or patio. Made from aircraft grade aluminum and treated with a protective UV coating this stunning indoor-outdoor sculpture is as durable as it is beautiful and can be displayed outdoors year-round. The sculpture includes an artistic handcrafted base that enhances the sculpture's allure. This large sculpture measures 42" x 18" x 9", including the 12" base. 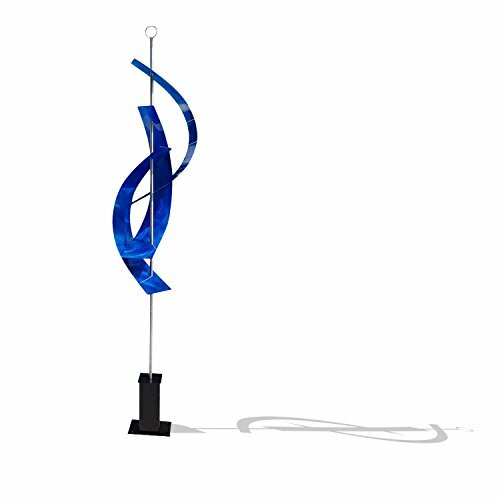 Elegant deep blue freestanding modern metal sculpture. This handcrafted sculpture will complement any decor - modern, contemporary or traditional. 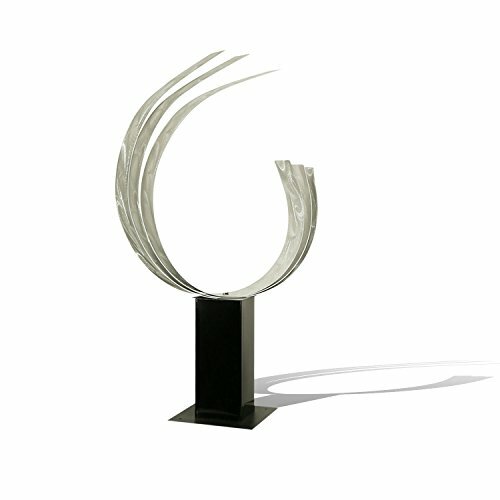 Made form aircraft grade aluminum and treated with a protective UV coating this stunning indoor-outdoor sculpture is as durable as it is beautiful and can be displayed outdoors year-round. The sculpture includes an artistic handcrafted base that enhances the sculpture's allure. Each handcrafted piece is signed by American artist Jon Allen and includes a certificate of authenticity Size: 94" x 20" x 20", including 12" base. 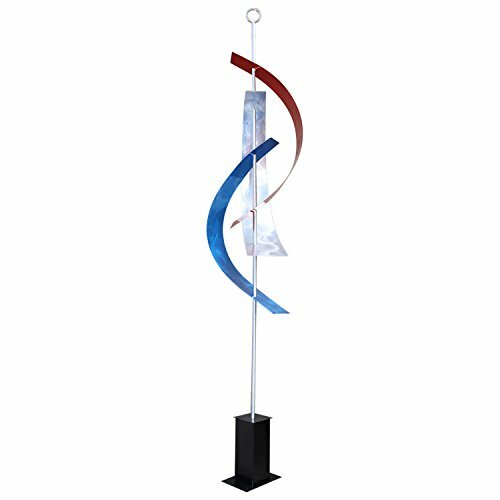 This striking red, blue & silver freestanding indoor-outdoor sculpture, Firecracker Massive will complement any decor. Made from aircraft grade aluminum and treated with a protective UV coating this stunning indoor-outdoor sculpture is as durable as it is beautiful and can be displayed outdoors year-round. The sculpture includes an artistic handcrafted base that enhances the sculpture's allure. Each handcrafted piece is signed by American artist Jon Allen and includes a certificate of authenticity This large sculpture measures 96 in x 20 in x 20 in including its 14 in artistic base. This stylish abstract silver metal sculpture in a triple "C" design will look elegant in any room of your home or outside on our lawn or patio. Made from aircraft grade aluminum and treated with a protective UV coating this stunning indoor-outdoor sculpture is as durable as it is beautiful and can be displayed outdoors year-round. The sculpture includes an artistic handcrafted base that enhances the sculpture's allure. Each handcrafted piece is signed by American artist Jon Allen and includes a certificate of authenticity This large sculpture measures 42" x 18" x 9", including the 12" base.